A Goberi family gave us their small hut for our stay. 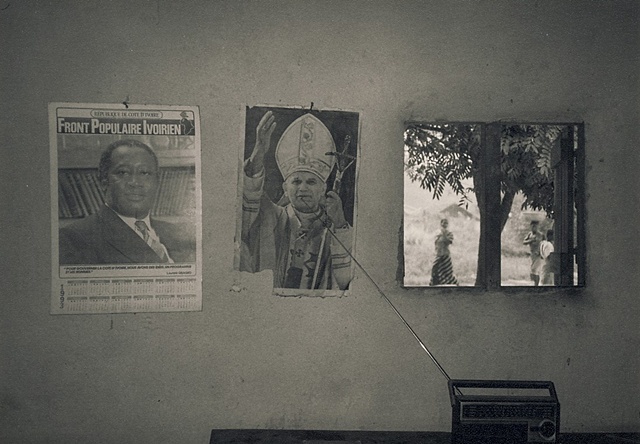 In the sparse room hung a political poster in support of Laurent Gbagbo of the Popular Ivorian Front party and a photograph of Pope John Paul II. Next to the Pope was a window revealing life going on outside.